Most people think of Mardi Gras as our season of merriment before Lent, but many of our traditions such as the sweet and decorative king cake actually begin with Christmas. The season of Carnival begins on Jan. 6, known as the Epiphany or Twelfth Night, the day the Christ Child was visited by the three kings. In South Louisiana we celebrate the beginning of Carnival with a king cake, an oblong pastry that contains a tiny plastic baby who represents the Christ child. 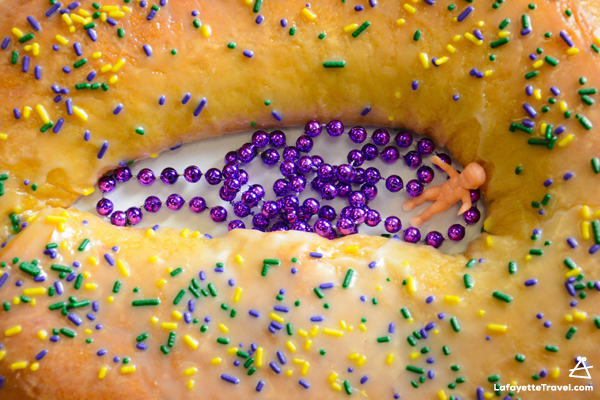 Whoever gets the baby hidden within the king cake must buy the next one. And so the tradition continues on to Mardi Gras Day, which means South Louisiana residents eat a lot of king cake during Carnival. 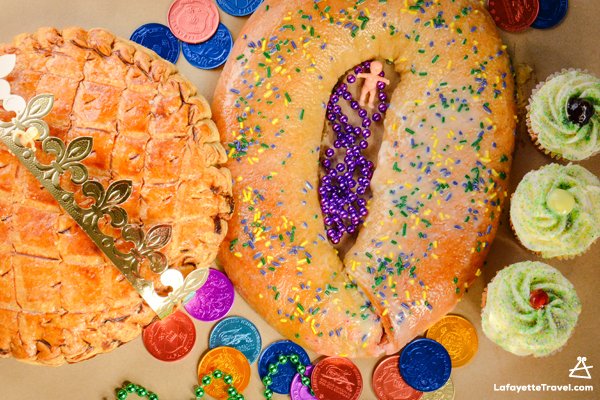 King cakes date back to 12th century France when a cake was baked on the eve of Jan. 6 with a small token hidden inside. Whoever got the token in his or her slice became the royalty of the night. 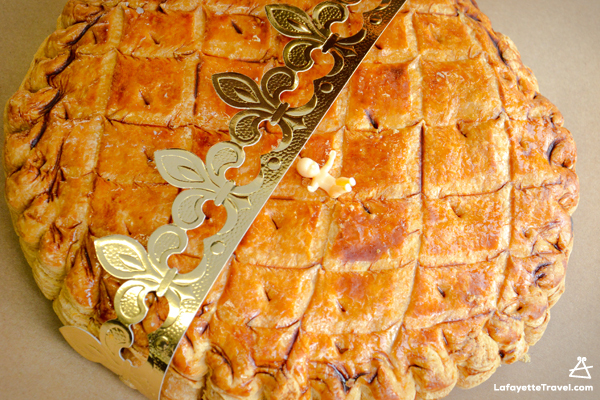 The original French cakes, known as the galette des rois, were round, reflecting the route taken by the Magi to confuse King Herod whose army was following the Wise Men. The Louisiana king cake tradition differs from France in that king cakes are served and enjoyed throughout the Carnival season. 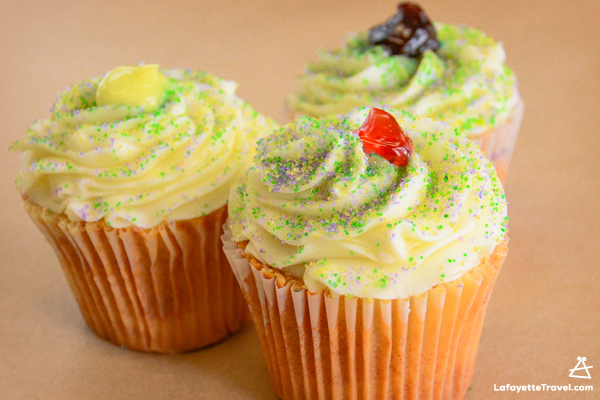 Most Louisiana king cakes are oval and decorated in the Carnival colors of purple, green and gold, which represent justice (purple), faith (green) and power (gold). Some are plain with only decorated sugar on top while others are filled with wonderful things like cream cheese, fruit preserves and praline filing. Poupart&apos;s Bakery, started by French native Francois Poupart who immigrated to Louisiana in the early 1960s, serves up a traditional French-style king cake in addition to the Louisiana variety. Their French king cake consists of two layers of puff pastry with an almond marzipan cream filling, much like its French cousin. More and more people like it, said Francois Pouparts son, Patrick. And if people order it, we can make it any time of the year. We ship all over. Poupart&apos;s fills its Louisiana king cakes with 15 to 16 different flavors, with new ones offered each year. Last year, for instance, Poupart&apos;s introduced red velvet and cookies and cream. Their most popular king cake, however, is cinnamon cream cheese pecan. Keller&apos;s Bakery began making king cakes in the 1970s, utilizing Danish dough topped with the colors of Mardi Gras and filled with delicious goodness. Today, they offer more than a dozen flavors and introduce new ones each year. Lafayette&apos;s culinary scene can be inventive so don&apos;t be surprised to find king cake bread pudding on a menu and other variations on the Carnival tradition. There&apos;s even king cake martinis at Cafe Vermilionville!